Deadline for application is 31st March 2017. 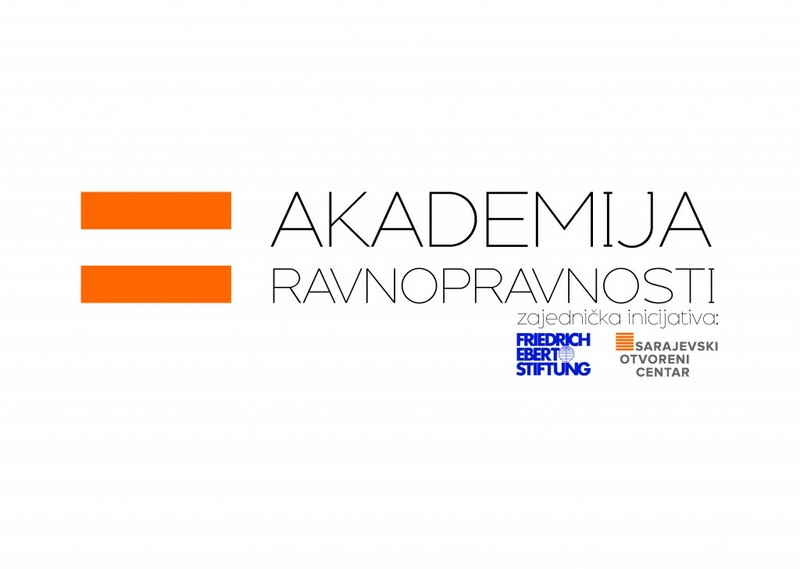 After successful realization of the Equality Academy in 2015. and 2016., Friedrich Ebert Foundation and Sarajevo Open Centre are proud to announce a public call for participation on the third generation of the Equality Academy – platform for political leadership and space for joint actions of representatives, leaders of political parties and civil society organizations. The Equality Academy is consisted of three modules; lectures, workshops, discussions and meetings with representatives from civil society organizations. Lecturers have experience in political practice, but they are also members of international organizations and NGO organizations from B&H and region. When you apply to the Equality Academy you are obligated to participate in every module. Organizers of the Academy will pay for accommodation, food, refreshment and costs of participation on the Academy. Travel expenses should be paid by the participants themselves. How to apply to the Equality Academy? If you belong to the one of the groups named above and you want to participate on the Equality Academy, then please send your application on bouth e-mail adresses: merima.ejubovic@fes.ba and maida@soc.ba no later than 31. of March 2017. Application (Word or PDF file) should be consisted of a) short biography (up to three pages) b) short motivation letter (up to two pages) which contains information how will you use knowledge and acquaintances made on the Academy. In application must be c) contact phone number d) e-mail address, e) information about a party and party organ you are coming from f) are you representative in legislative power, or are you performing the function in the executive power of cantons, entities or state level. If there is a bigger number of applications the organizers will make an election of participants considering gender, party and regional representation. Selected participants will be informed about it until 5th of April. Friedrich Ebert Foundation (FES) is established in 1952 as a political inheritance of first German president, Friedrich Ebert, who was elected in democratic way. Foundation has its offices in Sarajevo and Banja Luka. Foundation is pleading for cooperative dialogue between civil society and those who are political responsible. With help of local, regional and national partners, Friedrich Ebert Foundation is organizing different educational and informative programmes. Through their studies and publication Foundation Friedrich Ebert is analyzing central social and economic-political themes. 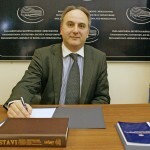 More informaton about FES you can find on web page www.fes.ba. Sarajevo Open Centre (SOC) advocates the full respect of human rights and social inclusion of LGBT people and women. Sarajevo Open Centre is an independent, non-partisan and non-profit organization that empowers LGBT (lesbian, gay, bisexual and trans*) people and women through community and movement building. SOC also promotes the human rights of LGBT people and women publically and advocates on national, European and international level for improved legislation and policies in Bosnia and Herzegovina. More about SOC you can find on web page www.soc.ba. You can download a PDF version of a public call here. What can we expect from the third module of the Equality Academy 2016?